The Catholics and even the Protestants believe that there are three persons in one God - the Father is God, the Son is God, and the Holy Spirit is God, and these three are only one God. 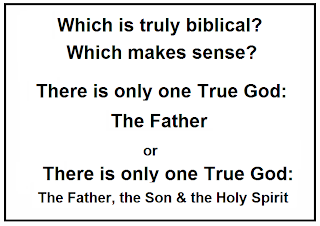 However, the gospel or the teachings of Christ clearly states that the Father alone is the only true God. The doctrine of the Trinity is indeed a perversion of distortion of the teachings of Christ about God. Apostle Paul said, "For us" (he is referring to the true Christians), "there is but one God, the Father." Thus, the true Christians adhere the teaching of the Lord Jesus Christ that the Father is the only true God. 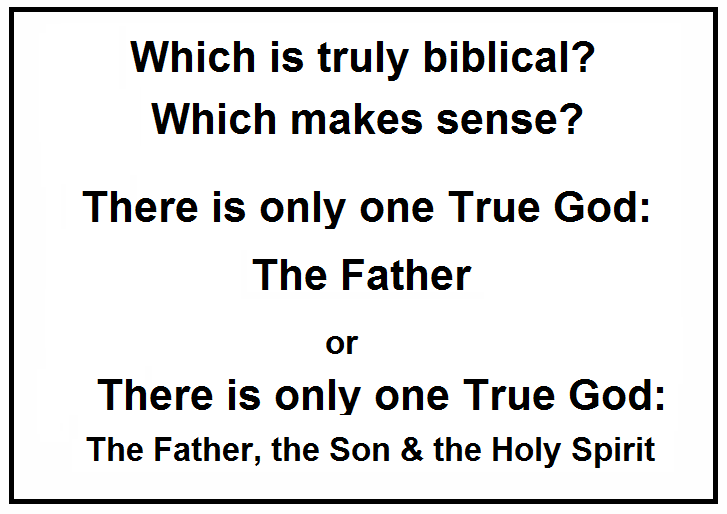 This proves that the doctrine that the one true God are the Father, the Son and the Holy Spirit is the perverted or distorted teaching of the Lord Jesus Christ which adhere by true Christians that the father alone is the only true God. Which is the perverted doctrine? There is only one God - God the Father, God the Son and God the Holy Spirit. These three are one God. Apostle Paul also said that the “different gospel” “is really no gospel at all.” Is the Trinity a gospel or “no gospel at all”? Trinitarians clearly admit that the word "Trinity" and the formula ("that there are three persons in one God") cannot be found in the Bible. Thus, it is truly "not a gospel at all." CAN A PERVERTED GOSPEL SAVE? Does it matter what men believe concerning salvation? Can men who preach a gospel different than the one the apostles taught still go to heaven? The Judaizers, who were Jewish Christians, were deserting God by teaching that men had to keep some of the Jewish ceremonial practices to be saved. They were perverting the gospel. Today there are many different denomination that are not preaching a completely new gospel, they are just distorting the old one. IS IT A SERIOUS OFFENSE TO PREACH A GOSPEL PLAN OF SALVATION OTHER THAN WHAT THE APOSTLES TAUGHT? PERVERTING THE GOSPEL IS SERIOUS! Is the doctrine, of saved by grace alone, a distortion of the gospel? 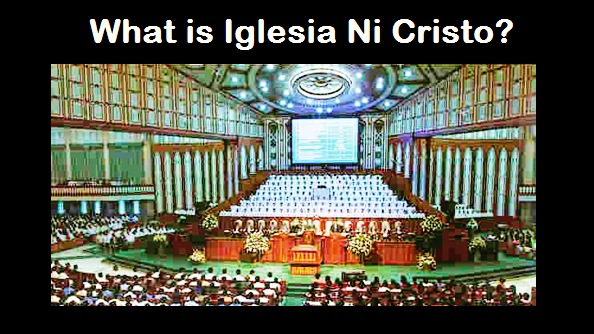 The doctrine of, grace alone, stipulates that men have no responsibilities concerning their salvation. The teaching is, that God does it all. You have to believe in order to obey Jesus. Keep in mind, the words of the apostles were the words of Jesus. Acts 16: 30-31 ..."Sirs, what must I do be saved?" 31 They said, "Believe in Lord Jesus, and you will be saved, you and your household." Paul and Silas did not answer the jailer by saying, "If you have been preselected for salvation; God will cause you to believe so you may be saved." The jailer and his household were not saved by grace alone. They believed and were baptized in water. JESUS IS THE SOURCE OF SALVATION FOR ALL WHO OBEY HIM. CAN MEN PREACH ANOTHER WAY OF BEING SAVED AND STILL GET TO HEAVEN? THE APOSTLES DID NOT TEACH MULTIPLE PLANS OF SALVATION! I am the door; anyone who enters the fold through shall be save. “What business is it of mine to judge those outside the church? Are you not to judge those inside? God will judge those outside. "Expel the wicked man from among you." THEREFORE, IT IS WRITTEN IN THE BIBLE THAT THE LORD JESUS CHRIST IS THE SAVIOR OF HIS CHURCH, AND HE COMMANDED THOSE WHO WANTS TO BE SAVED TO ENTER HIS CHURCH.